This time last year we were caring for Margot from home, having returned from an unsuccessful two week stint in Sheffield with an experimental treatment. Margot had already been declared “conventionally incurable” several weeks earlier, so the palliative care team from Great Ormond Street Hospital were now in regular contact with us, providing advice and guidance, helping us to manage Margot’s pain with prescription medication and to keep her comfortable and clinically well with regular blood and platelet transfusions. The whole situation was so surreal and none of us could still quite believe what was happening. 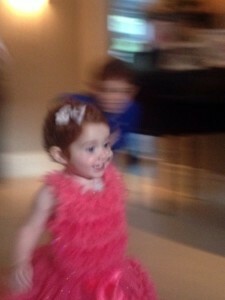 We had just celebrated Margot’s second birthday on 13 August; a wonderful day. And then, completely unannounced, Vicki came out with something totally unexpected. Below is what I wrote at the time, which also touches upon the different ways in which each of us were coping. Of course, I’m primarily referring to Vicki & I, but the whole situation affected our entire family as well. 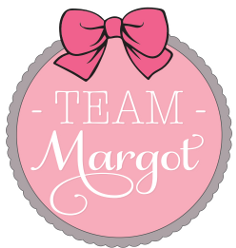 Throughout, Margot was our inspiration. And she continues to be. Last week, Vicki dropped a bomb on me. It came out of nowhere and was totally unanticipated. We were driving to GOSH and she mentioned that she was looking into whether we might be able to donate Margot’s heart valves to help save another child in need. As someone who has recently signed onto the organ donor register to leave all/any of my body parts post death, I had been through the thought process and concluded that I wanted to do this personally. Vicki ditto (and long before I had drawn that conclusion). I was instantly shocked & appalled at the mere suggestion and momentarily wondered whether my wife had taken leave of her senses. Vicki explained that initially the idea had been abhorrent to her too but that she had come around to considering this as a possibility. She calmly asked me to just dwell on the idea without coming to any immediate decision. No one had suggested / promoted this to her, it was something that Vicki had wanted to investigate and from her early enquiries, it seemed that donating Margot’s corneas and heart valves were a possibility. Organs were not a possibility. So I agreed to think about it and we left it there. We discussed this again a couple of days later. For whatever reason, corneas had been eliminated as an option but heart valves somehow remained a possibility. What helped me to consider the notion was the thought that someone’s child might have been desperately needy of heart valves and Margot’s might help save that child’s life. 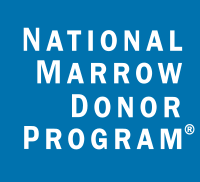 From our own experience we know all too well how grateful we were to Margot’s donor for his selfless benevolence at donating his bone marrow. Seeing it in this way helped me begin to accept the idea, although there would be conditions; for example, if donation meant that Margot would be whisked away from us by men in white coats before we were ready, then that was a red line. Apparently, no – heart valves aren’t acutely time sensitive. Also, we would need reassurance that there was a need and that Margot’s heart valves would be utilised to try and save another life. What a way to spend thinking time ! The whole palliative care arena is so emotionally exhausting. In the event, we didn’t get much further. Yesterday, it was confirmed that if someone has leukaemia & blood disorders, it’s not only organs that cannot be donated, but also human tissue. Vicki was a bit upset that the guidance wasn’t forthcoming sooner / clearer upfront; had it been, she would have spared me the potentially damaging conversation and wouldn’t have shared the idea with me in the first place. In one sense I felt relieved, but we both shared a feeling of disappointment at receiving this news. Ultimately, it’s one less thing to think about. 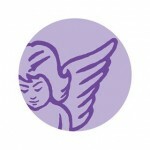 We are all dealing with the current situation differently and in our own individual ways. Vicki and I are agreed on what we want for the family, but we have different approaches to achieving those aims. The boys too are reacting in their own ways to the information we share with them and we are watching closely and monitoring their behaviour. The same holds true for Izabela and our wider family & friends. Mercifully, Margot is so accustomed to the medical routine that for her it’s very much ‘business as usual’ and thus far the drugs appear to be keeping her comfortable. Personally, I have become a bit anti-social of late. This whole situation is upsetting to think about, let alone discuss and I suspect it is also awkward for others to ask or to know what to say. We are all grieving and yet Margot is still with us. It’s all very surreal. I haven’t ever left as many phone calls unanswered ! If you have tried to call me in support recently, then thank you very much. Please don’t take offence. And if you haven’t called me, then thank you to you too ! FYI Text messages are best if you wish to reach me for anything urgent. I can’t help feeling this way and selfishly, I feel the need to have more time on my own. The likelihood of me doing that to the extent that I would wish is impractical, given the needs of the family and so we are now working to find a sensible balance. For the first time in a while, I’m off for a run. Vicki is busy ironing in the laundry, the boys are with Auntie Noura and Margot is napping. « Save yourself money & help to save a life.